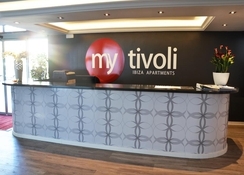 The modern and smart Apartamentos Playasol My Tivoli is an amazing 3-star complex set in the popular resort of Playa d’en Bossa. Guests will enjoy every second of their stay here with a stunning outdoor area and a great location where many of the popular attractions are just a short walk away. The modern rooms provide an exceptional level of comfort while the on-site restaurant delivers a great choice of dishes throughout the day. With the beach just 250m away from the Apartamentos Playasol My Tivoli, guests will have all that they need from the moment they arrive. 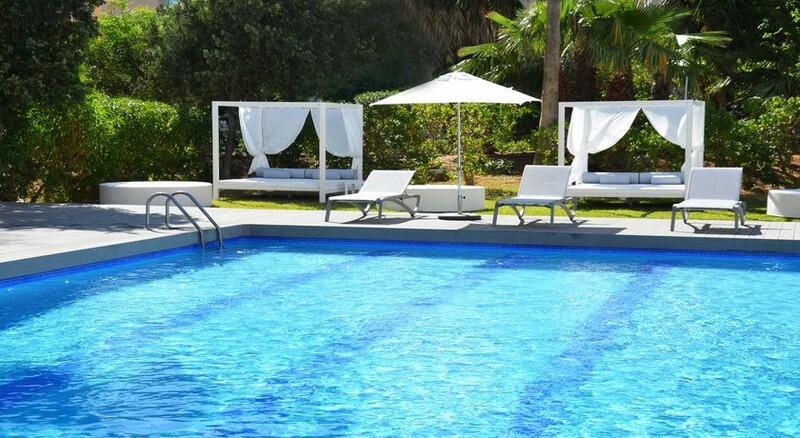 The apartments are perfectly located in the resort of Playa d’en Bossa, giving guests access to beaches, clubs, restaurants and bars. This exciting and bustling resort ensures that guests have plenty to see and do, with beaches offering water sports while there are water parks for those looking for their fix of adrenaline. This stunning resort is filled with fun and life and it makes the perfect destination for those who like to explore a lively nightlife. The hotel is 5km from the airport. The complex is made up of One Bedroom Apartments, Suites as well as Single, Double and Twin Rooms. Each room is simple and smart while all contain a wide range of facilities, ensuring guests have a pleasant stay. 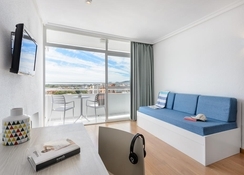 The suites and apartments come with a kitchenette while all rooms have air conditioning, satellite TV, WiFi, safety deposit box and a balcony or terrace. 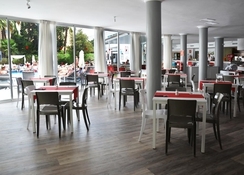 There is an on-site restaurant for guests who are looking for a great selection of dishes. Here they can sample a selection of local and international dishes for breakfast, lunch and dinner while those who are staying in an apartment or suite can choose to dine in. There is a bar on-site that serves a selection of drinks all day long while there is a huge choice of restaurants and bars outside of the complex that cater to all. The modern complex has one large swimming pool that is surrounded by a luxurious sun terrace with sun loungers and Balinese beds. There is a games area offering pool and table tennis while nearby there is the Aqualand water park and many beaches giving guests the chance to relax and unwind or try their hand at some water sports.